Until a couple of months back I used to post Fine Art Friday photos every week. But then life a.k.a. a full time job kind of got in the way of that. However, I am slowly getting back on track, which means that I will try and revive this feature. Today. 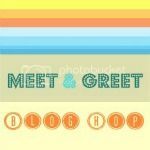 But I will also continue my Blog Hop Friday and answer four question. You could join if you like, just do a blog post answering the questions and link up! So, here is my fine art Friday photo for this week. I took the photo a couple of weeks ago, when I was on a photo tour taking pictures of snow and ice. My friend was trying to capture a close-up of this little, prickly plant, which spiked my interest in it. I had my special lens, a LensBaby, mounted and took this picture. Later I added a script texture to it, making it into a romantic postcard. What do you think? If you like to see more fine art Friday photos hop over to my fellow photographer Angie’s blog (Laughter and Love Photography) this Friday. She will be showcasing 15 to 20 different fine art photos, all from members of our fPOE team. Each week, I plan on listing four statements with a blank for you to fill in on your own blogs. If you want to join the fun and come up with four fill in’s of your own, please email them to me at Hilary(at)feelingbeachie(dot)com. If I use them, I will add you as co-host to the hop! This week’s co-host is Uttley from Uttley’s take – he came up with the last two statements! 1. Sometimes I feel like I am too slow to do all the things I want to do. Preferably at once, of course. 2. When I wear no seat belt while driving I feel somewhat naked. 3. When in doubt, I seek clarification by trying out or asking my husband, friends and/or the internet. 4. The easiest way to get lost somewhere is to rely on directions given by a certain friend of mine 😉. Hi Claudia, I found you through Hilary’s blog hop. I haven’t met you before, so nice to meet you! I do like the postcard. I think it does have a very romantic feel to it. Yes, I am the same way with numbers #3 and #4. I was in a wreck years ago, before the seatbelt laws. I started wearing a seatbelt after the wreck and now I feel uncomfortable if I don’t. I, too, ask my husband’s opinion when I’m in doubt. He’s usually a pretty good sounding board. I have a PhD in geography and I am at times directionally challenged. I’m not good with directions – It was awful before the navigation systems were available. That IS a pretty postcard. Very romantic and I think it would be a great print too. I am also horrible with directions. My granddaughter and I started calling them our adventures. When she was little and we would get lost coming or going, she would get nervous. So I would tell her we are on an adventure! She’s 16 now and is quick to reassure the younger ones when we are all lost that Granny is taking them on an adventure. Such a beautiful photo! The script and lens really help draw you into the prickly plant 🙂 So lovely! Thanks a lot, Vivid. That lens is pretty special… hmm, maybe I should do a before/after of this pic. I know what you mean about feeling naked! Jahaa, da ist was Wahres dran! Haha – I like what you’ve done with number four. Love the postcard! so pretty. Hi claudia, Glad you are getting back on track! Love your photos! I thought numbers one and two were could have been written by me!